Thanks for the feedback & question! So nice to hear that you have always been meat free! I wish I could say the same. I am also thrilled that you will be raising your child Vegan from the start! My family has only been Vegan for 2 years, so I can’t speak from experience. But I hear that oat milk & almond milk can be wonderful for Vegan toddlers. Your baby does not NEED to drink any milk at all though, when he is no longer breast feeding, as long as he is eating a balanced whole foods diet. He will get plenty of calcium through dark leafy greens, and his body will more readily absorb the calcium from these foods. I too, try to limit processed soy! Check out http://www.thekindlife.com Alicia Silverstone has been posting lots of great baby info lately. And PCRM are the smartest, Vegan doctors on the planet, so check them out!! Good luck! And nice to hear that you train in Muay Thai! What rank are you? I’m a vegan American,living in Denmark,a country that is quite far behind in the vegetarian world,and even further when coming to veganism. I am also a soon-to-be mom! The idea of others accepting me and my family’s decision to be veg (my husband’s vegetarian,our child will be raised as vegan as possible) is quite unnerving. I hope that we will be able to deal with all of the comments. One good sign,though,that Denmark might actually be moving towards accepting vegetarianism as a lifestyle came about this past weekend-my husband and I were at his 12-year old cousin’s confirmation party. When he (my husband) walked by her table,she stopped him and started asking if both him and I were really vegetarian. He said yes,we were,and that in fact I was vegan. She looked at him and said-“I think vegetarians are cool”. We really don’t know how her father,who was sitting right there,felt about that,but we were both really elated to have her say that! Really gives me hope that,by the time my baby is in school,there won’t be the problems I went through,through the early 90’s and on. It’s just so wonderful to know that our lifestyle is becoming less unusual,even all the way over here,in Denmark. I am not a mom and I am also not vegan, but a pretty strict vegetarian who occasionally loves stinky cheese and yogurt. I hope to have children one day and I love the idea of raising them vegetarian and educating them on the social, ethical, and health benefits of a vegetarian lifestyle. I wanted to know how you handle situations at school when you are not present, for instance, it’s another kid’s birthday and their parent brings in a plate of cupcakes…or, for “field day” they grill hot dogs and hamburgers. How do you handle those situations without having your little one feel confused or the odd-man-out? Of course there will always we situations where my child is surrounded by burgers or cookies and I am not around to hand them something Vegan. They know that as soon as they get home I will take them out for something special or bake sweets for them. The most important thing is to prepare your child for these situations and they won’t be as upset as you may think. Kids are stronger than we often give them credit for! I recently became vegan. I have not raised my children this way, nor was I vegan when I met my husband. Now I’m wondering if I can get my older children to eat less meat and dairy without ,making them feel guilty or showint them horrific peta movies, etc. Feel guilty not cooking meat for them when they want it. PLEASE don’t ever feel guilty not cooking meat for your kids! 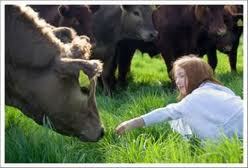 You would not feel guilty for holding back excessive antibiotics, steroids or pesticides from their growing bodies. And this is what you are doing when you stop feeding them animal products. You don’t need to show them PETA videos, but how about Food Inc. or Forks Over Knives. Both are good documentaries without graphic abuse footage. It is not easy to go Vegan for most kids. But it is possible. Hope you can do Vegan meals a few times a week to start… Good luck! It is definitely a big and daily effort. Especially when one parent is vegan and the other is not. I am the only cook in the house, so at home we eat vegan. I am struggling to make my 4 year old more aware, but he doesn’t quite get it yet. I aim to educate, letting him know that the ‘chicken nugget’ on that menu used to be a chicken. My son says things, like I like eating animals… but he hasn’t made the connection yet. I figure all I can do is feed him good plant-based food at home, and educate him when he sees other people eating meat and drinking milk. When people offer him food, he always asks ‘does it have cows milk in it? because if it has cows milk my bum will explode’…LOL not quite what I told him, but it works and I am proud he is questioning what is in his food at his young age. I think we do. Whilst we cannot be sure what path our children will take in the future there is no doubt that they will more aware. So many parents are not ethically aware and so they cannot pass that onto their children. In my own life it wasn’t until I was given an English assignment on animal testing that I really stopped to think and went vegetarian and then vegan a short time later (19 years ago now). It was a real eye opener as my English teacher had given us a list of organisations to write to and I wrote to them all and as soon as the replies rolled in I knew I wanted to change.